"Culture Chief at Delivering Happiness & Leading Expert on Zappos Company Culture"
Making dollars and sense of why an investment in happiness will increase your productivity, profitability and sustainability as a company. Key learnings and insights from working with over 250 companies in various stages of culture evolution, all towards creating a distinct culture of values that can be scaled and sustained for long-term growth. Building an enduring brand through WOW customer service and a values-based company culture – from selling shoes to delivering happiness! Sunny’s personal journey to happiness at work from the failure of ‘the formula’ to finding passion and purpose building Delivering Happiness from the ground up as the second member of the coaching team. Over a decade of research shows that a culture of happiness is becoming one of the biggest competitive advantages in today’s economy. Happy employees who work with passion and purpose perform at consistently high levels, multiplying their effectiveness and raising business outcomes. Sunny's mission is to inspire others to live BIG by being true to themselves and following their purpose. She is passionate about realizing this through positive work cultures. Through her diverse journey Sunny has been a wellness researcher, saké trainer, ultra-runner, one of the world’s first happiness coaches and, finally, a global culture consultant. She held key developmental roles in several business start-ups before becoming a founding member of the Delivering Happiness (DH) consulting team, co-founded by Tony Hsieh, CEO of Zappos.com. As the Culture Chief at DH, Sunny co-built the model, developed the approach and led the services team. She is one of the few Core Coaches and is personally responsible for improving the culture at hundreds of organizations around the world. Internally at DH, Sunny is known as the Culture Godmother, applying the science of happiness with real-time guidance to continually evolve their culture. This has been an especially key role since DH shifted to an innovative structure based on Holacracy where the team is self-managed and purpose driven. A global speaker, ORSC (Organization and Relationship Systems Coaching) and NLP (Neuro-Linguistic Programming) trained coach with a BA in psychology, Sunny’s got the credentials. But her street cred comes from her role as one of the world’s first happiness consultants and a Zappos culture expert. She has been an impassioned thought leader in the culture movement and featured in books such as The Decoded Company and publications like Fast Company. Today Sunny is a sought-after speaker appearing at events such as Good to Great where she inspires groups around the world with her bright and unique brand of coach-sulting [coaching + consulting]. As one client noted: Sunny is more than a name, it’s how she lives. "What a great way to kick off our conference! Sunny provided leading-edge, thought-provoking information that resonated with our audience from varied disciplines. 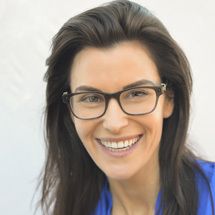 She is an engaging speaker who effortlessly presents supporting research and case studies while providing applicable techniques. I highly recommend Sunny Grosso as a keynote speaker for any organization, as we can all benefit from a company culture that focuses on happiness."